Antimicrobial resistance is a global public health threat that signals the identification of new antimicrobial agents with different modes of action. The synthesis and the antimicrobial evaluations of a series of 2-oxonicotinonitriles (2-ONNs) derivatives are described. The parent 2-ONN derivative 3 was synthesized by one-pot four-component reaction: acetyl cyclohexane, p-anisaldehyde, ethyl cyanoacetate, and NH4OAc, in high yield. Density functional theory geometrical equilibrium of the tautomeric forms of 3 concluded the predominance of the keto tautomer. Base-catalyzed coupling of 3 with several organohalides/alkylating agents provided branching and solubilizing groups to the 2-ONN derivative 3. Alkylated ONNs and free acyclic nucleoside mimics/glycosides derived from the 2-ONN derivative 3 were tested for their antibacterial and antifungal activities. 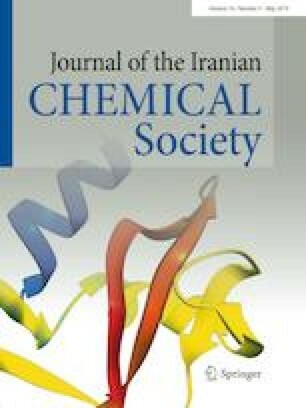 The acyclic nucleoside mimic 13 and the N1-propargyl derivative 16 and N1-allyl derivative 18 showed significant activities against S. aureus, and M. luteus; meanwhile, significant anti-E. coli activity was observed with compounds 3 and 18. On the other hand, a significant antifungal activity was observed with 3 and with its N1-glucoside derivatives 4 and 5 against Candida albicans and Aspergillus niger.